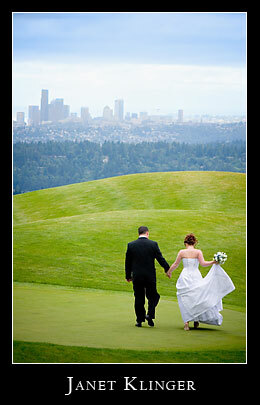 Over and over I’m asked which Seattle Wedding venue I like best. Always at the top of the list is Golf Club at Newcastle. There are so many reasons. But this entry won’t cover the caring staff, elegant interior, spacious patio, grand tent or how some of my all time favorite (and continuing) clients happen to choose this fabulous venue. For now, just the view and sunset. A moment alone. 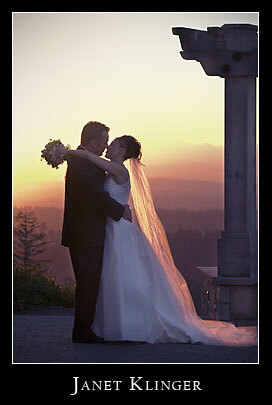 Long lenses are great for allowing Bride and Grooms “private” moments. Only moments after their romantic ceremony, this wonderful Bride and Groom ran out of the tent in newlywed excitement. To think. All day rain threatened. In my many Newcastle weddings I’ve never missed capturing a great sky, even if a bit gray. Seemingly poor weather adds drama to the sky. I like DRAMA!